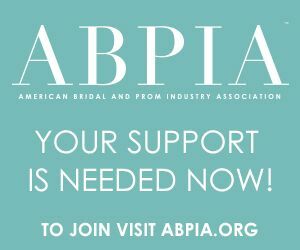 The ABPIA's (American Bridal and Prom Industry Association) four year campaign against Bridal and Prom wear counterfeiters and their websites is having impressive results, and is currently expanding its membership to include stores in order to bring greater numbers to the next stage of this fight. 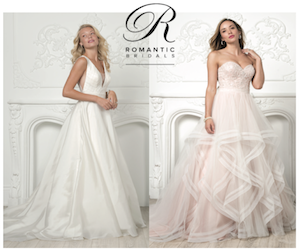 Bridal and Prom store memberships are offered at $250 per year. By representing manufacturers and designers in protecting their copyrighted/trademarked images, the ABPIA has successfully brought infringement litigation against thousands of off-shore based websites, freezing assets, taking over hundreds of domain names and sites, and removing over 20 million URLs from the search index. Now the ABPIA is looking to further broaden its litigation and lobbying efforts, and needs the power of an expanded membership base to do so. 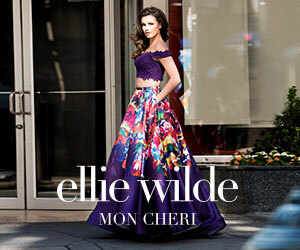 Though he was unable to fully outline the legal strategy of this next step, he did indicate that when successful, this litigation will have an enormous impact on all counterfeiters by reducing their sales, which will in turn benefit all retailers. The key importance of this contribution however, is not just financial: With all segments of the industry voicing their concerns about the detrimental impact of counterfeiting, the ABPIA’s position becomes that much more effective. Essentially, the more voices in the choir, the louder the song. “We need to keep our lobbying efforts going strong," added Liney, "as they have resulted in significant support from both House and Senate elected officials; multiple agencies coordinating with us regarding enforcement of Customs laws; coordination with other trade groups to bring more pressure on elected officials, and the facilitation of ongoing discussions with Google to stop counterfeiters from using their Ad network."